The injuries suffered in a car accident can change the person’s life forever, especially if one of the occupants of the vehicle happens to be a child. Consequences of injuries suffered by an infant in an automobile accident can be debilitating and life-altering. Unfortunately, the damage caused by pediatric injuries may not be entirely visible until later in the child’s life. According to a survey conducted by the US National Highway Traffic Safety Administration in 2010, children below the age group of one are more vulnerable to suffering head injuries compared to children of other age groups. The children in this age group are prone to concussions and unconsciousness. Children above the age group of one are more likely to get fractures in their skull. However, children of all ages between 1 and 7 are highly susceptible to head injuries due to car accidents. The frequency is 70% for children under the age of one. For those between 1 and 3 the rate of occurrence is 51% and for those between 4 and 7, it is 39%. The figures do confirm that the frequency of head injuries is quite high among kids and is a concern that needs immediate attention. Traumatic brain injuries are complex and deep-seated. They are hard to detect as the brains of children are still developing. The impact of the injury may not be visible until the brain has become fully developed. The injuries sustained by the brain at the growing stage can lead to developmental issues or neuropsychological problems that may surface later in life. The human brain is the power station that controls all our functions and actions. The different sections in the brain are responsible for various actions. If an injury occurs to a specific area of the brain before it is fully developed, it might fail to control the corresponding function. Here is a small example. The frontal lobe of the brain develops much later compared to other parts. It is the area that controls personality and social skills. If this area gets bruised due to some reasons, the damage will not be noticeable until the child is grown up and starts showing behavioral problems. Sadly, there is no sure shot way to prevent head injuries among children. However, as a parent, you can certainly take some preventive measures to protect your child. 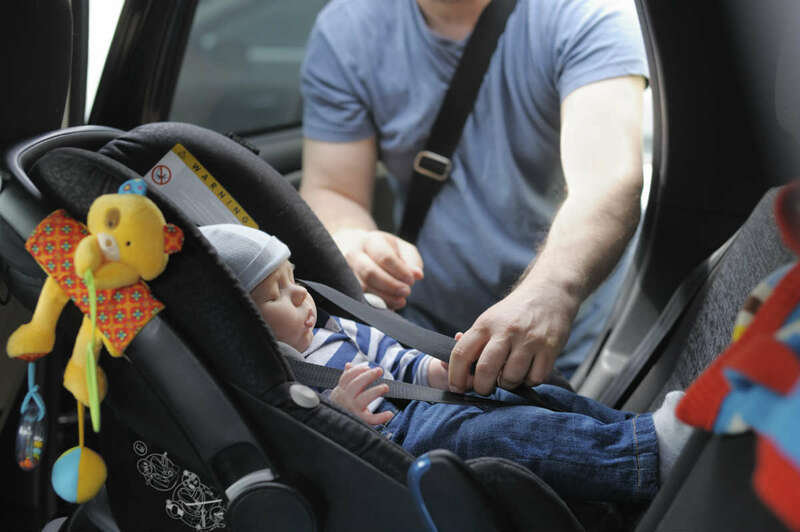 Equip your vehicle with proper restraining devices such as an age-appropriate child seat. Drive safely and be attentive at all times. Do not get distracted by your child when driving. Avoid being distracted by your cell phone when you are behind the wheel. If you get involved in a car accident, get your child examined by a doctor thoroughly, no matter how minor the injury is. Remember a small delay can have serious consequences. If the child has suffered a brain injury then he/she should be kept under close supervision as effects of injury may become visible much later. If your child has suffered a head injury in a car accident get in touch with an experienced St. Louis auto accident attorney at our law office to get help in pursuing the claim. Call us 24/7 at (314) 361-4242 to schedule a free and private consultation.